DNA info Jon Hansen talks with ME – Listen HERE to a wide range of topics, mostly Big Night coming up October 8, a fundraiser for Friends of Chicago Animal & Control, Chicago Cultural Center, 6p.m.. Indeed, you can help all of Chicago’s orphan animals with your attendance. I hope to see Facebook friends, radio listeners, pet professionals – including veterinarians, public officials I’ve supported, and others….You’ll have a good time for sure and eat great – as over 20 of Chicago’s best chefs will be serving. 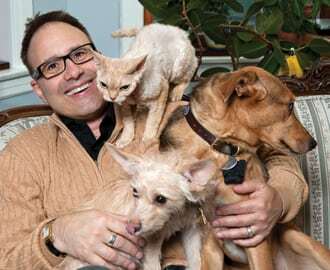 Funny dude Pete McMurray of the Drive is the emcee….but most important, you’ll be helping the animals! Jon wonders about a wide range of topics to how I ever got to appear in a TV Guide Crossword puzzle to our trip to see mountain gorillas in Rwanda. 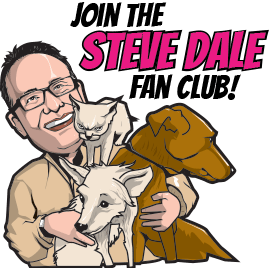 I also mention my new WGN Radio Podcast, Steve Dale’s Other World.